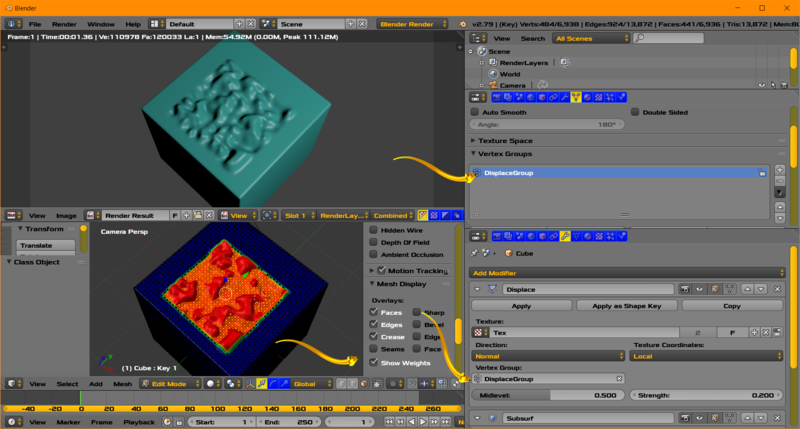 Control your displacement modifier with a vertex group. More to follow. You can search here at BSE or other video sites for the easy process of creating a vertex group. Essentially creating a vertex group in the [vertex group panel], selecting vertices and assigning weights by pressing the button in the panel. In the image above a vertex group is created named [DisplaceGroup] and used as the vertex group name in the Displace modifier. The vertex group is shown in [Edit Mode]. The yellow arrows show the relevant settings. Note how the red area in the Edit Mode has weights of 1.0 and is affected by the Displace Modifier. The blue area has weights of 0.0 and is not affected by the displace modifier. The use of the vertex group name makes this all function correctly. This is guide for you to get quick results. This is not a tutorial on vertex groups which are better demonstrated previously and elsewhere and can be found with a quick search. Not the answer you're looking for? 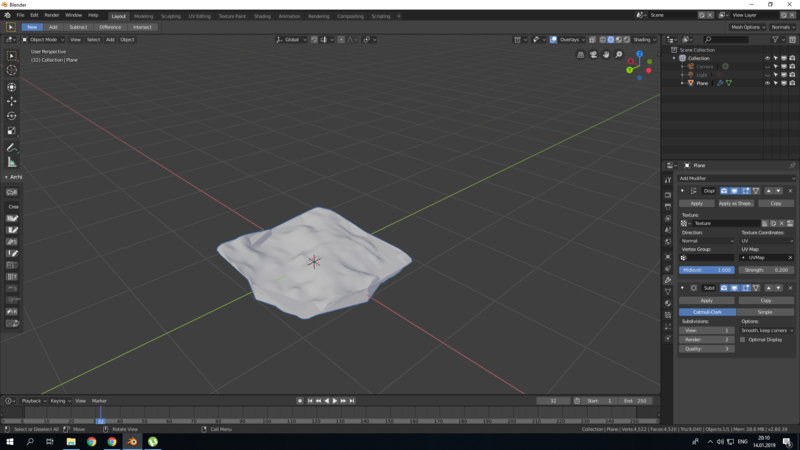 Browse other questions tagged mesh subdivision-surface displacement or ask your own question. 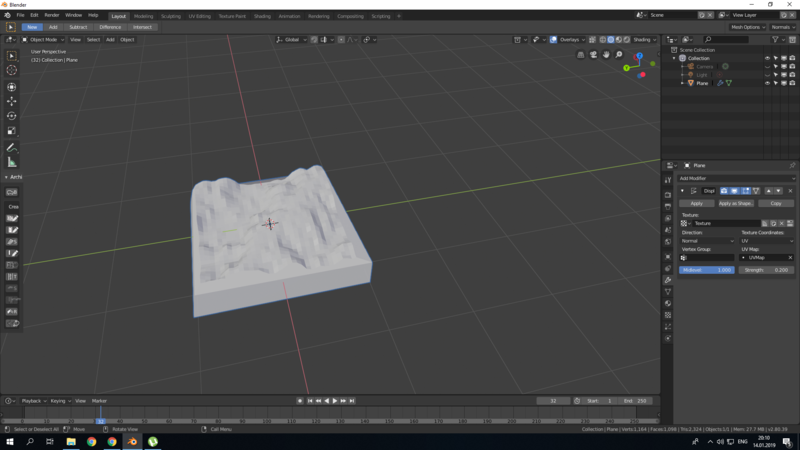 How to get Subdiv Surface to not miss the vertices?